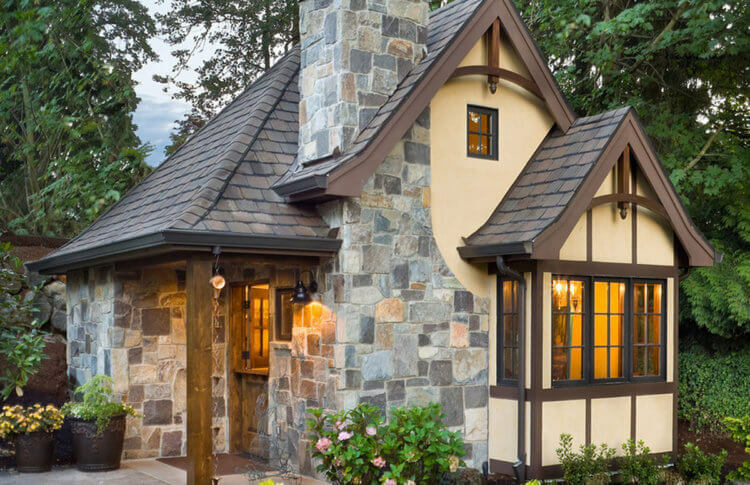 An example of a beautiful Tiny Home intended for Aging in Place -- accessible outdoor beauty is always a must and it's something to behold here. Choosing to build a tiny home (or live in an existing one) can be a very smart, economical way to age in place, at home. Not only is the space cost-effective, but it can be designed and built to specifically suit anyone with special needs -- in fact, one of the examples in this slideshow was specifically built by a dad for his special needs daughter. And Universal Design principles are exactly what we use when creating an aging-in-place ready home. Another reason tiny homes can be a great option: you can build on existing land right next door to family. We've learned from firsthand experience that having family nearby makes a huge difference in our ability to help (which is why my in-laws are moving next door), and can mean a much better quality of life for everyone involved. Remember that when you're considering how and where to build your Aging in Place home, the people who care about you the most want to be available to assist -- and the closer you are, the simpler that is for everyone. This article from Builder on Tiny Homes for Aging in Place is a great way to start the discussion about moving closer to family and friends. Are you considering a tiny home, either stand-alone or as an addition or extension to a family home? We'd love to hear about it!